WHEN the Seventh Earl of Hopetoun, a Scottish aristocrat, politician and one-time Lord-in-Waiting to Queen Victoria, was appointed first Governor-General of the new Commonwealth of Australia, it was felt he should have his own railway carriage to journey around the countryside to meet his people – albeit that this countryside would be confined to just New South Wales. And not any old railway carriage. His would be built from the wheels up as the most luxurious carriage for its time, equivalent to anything used to carry royalty back home in Britain. And to heck that the economy was more than somewhat fluffy as Australia approached Federation – John Adrian Louis Hope was our first national Governor-General, a man of title, confidant to the Queen… and within months would be squiring the Duke of Cornwall and York – who was in line to become King George V – and his Duchess when they officially opened our first Federation Parliament in Melbourne on May 9 1901. Thus the New South Wales Railways' Office of Mechanical Engineer was charged with creating a work of extraordinary opulence, and it's Workshops at Eveleigh in Sydney with the task of putting it all together. Such a masterpiece did they create, that 111 years later it is still the most luxurious railway carriage in Australia – and fortuitously for everyone from devout rail aficionados to the just plain curious, it has been preserved for us to gawk at, marvel over, photograph and simply ponder its appointments and lavish, almost affectionately-decadent, attention to detail. And because used for numerous royal visits, special-occasion travel by State Governors and for VIP and commemorative occasions until the 1980s, it was immaculately cared-for, and in 1992 donated by the-then State Rail Authority to the Powerhouse Museum, which in turn has it displayed at Trainworks (the former NSW Rail Transport Museum) at historic Thirlmere an easy hour's drive southwest of Sydney. The carriage never ceases to draw particular Ooohs and Ahhhs from visitors to Trainworks, that's home to Australia's biggest and most fascinating collection of railway rolling stock. 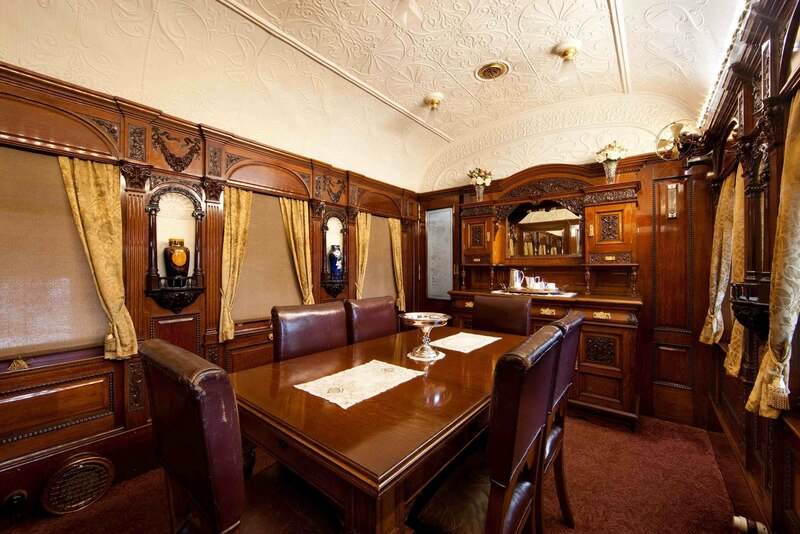 Interior decorations include no fewer than 311 intricately hand-carved English oak and Australian cedar panels depicting NSW botanical specimens. There are finely-etched glass panels of indigenous flora, silk drapes fringe windows, and hundreds of items from coat hooks to light switch covers are gold plated from fourteen gold sovereigns melted down for the job. The dining suite has a table with six chairs and an intricately carved oak sideboard, and the bedrooms feature brass and gold-trimmed bedsteads, built-in wardrobes, fans, heaters and ensuite toilets and showers. After the Duke and Duchess arrived in Melbourne by ship and opened the first Australian Parliament, they travelled by a Victorian Railways train to Albury where, with Governor-General the Earl of Hopetoun, they boarded his brand-new carriage attached to a NSW Railways' train made up also of the State Governor's and Railway Commissioner's private carriages and several support cars for the trip to Sydney. And bizarrely although thousands of people turned out along the route to wave them on, when the Royal train passed through stations all window blinds were pulled down – to preserve the Duke and Duchess's privacy. For security a pilot locomotive ran ahead of the Royal train, a back-up steam engine travelled behind, and all railway crossing gates were closed and locked. 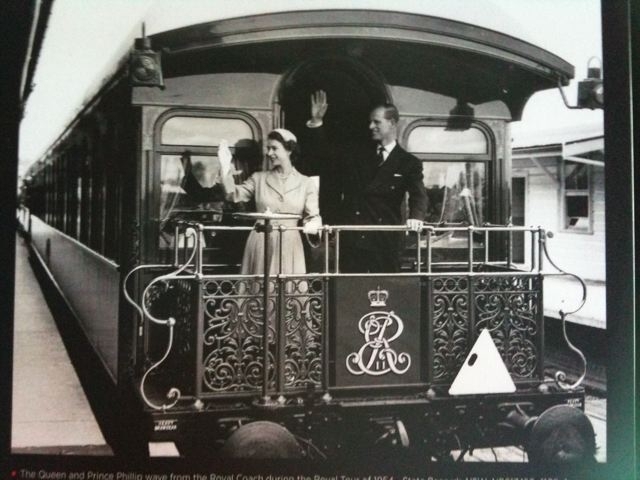 Although not the first royal, Queen Elizabeth, with Prince Philip, was the first reigning monarch to use the Governor-General's carriage in 1954, and the last royal was Princess Marina, the Dowager Duchess of Kent in 1964. 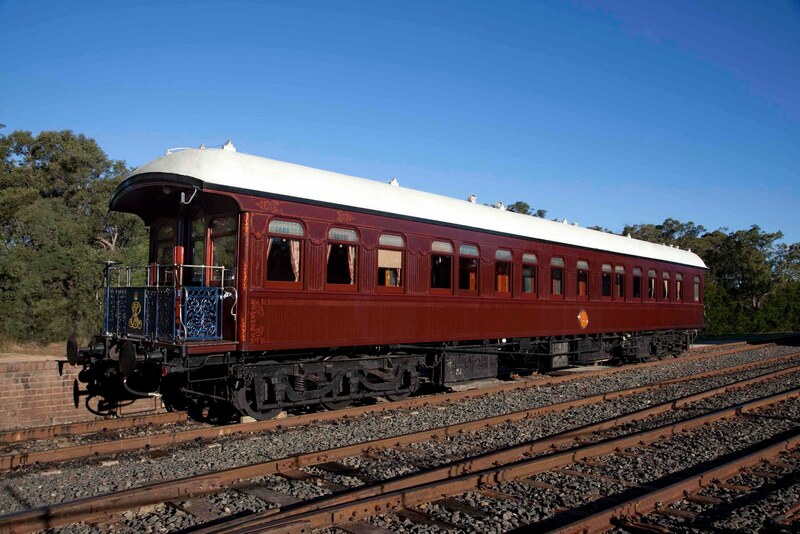 NEXT WEEK: Trainworks' treasures: mighty steam, luxury on line, austere prison vans…. even Thomas. 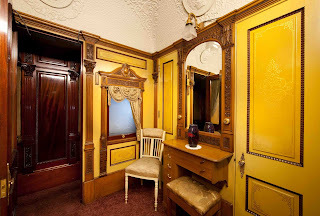 THE Governor-General's carriage – 111 years on, still the most luxurious railway carriage in Australia. DINING in style while on the move for the Governor-General and VIP guests. AN indication of the attention to detail in the three staterooms. THE Queen and Prince Philip aboard the Governor-General's train in 1954.